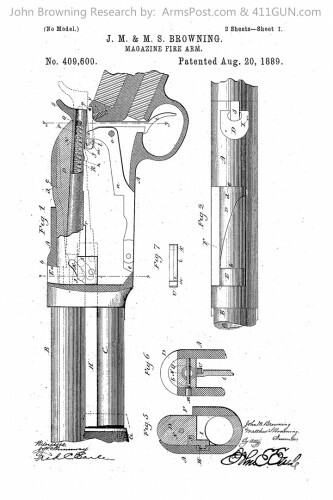 On August 20th, 1889 John Moses Browning was granted US Patent 409600. He applied for this patent on May 21st, 1888. 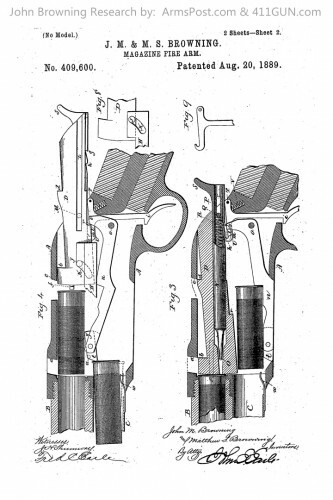 US Patent 409600 is in the category of Magazine Firearms. Specifically this firearm is a Shotgun which has a tubular magazine.